Rummikub has been around for decades and has become a firm board game favourite amongst children and adults alike. The internationally renowned game was invented by a man named Ephraim Hertzano in the early 1930s. With help from his family, he hand-made the first sets in the backyard of his home. Hertzano sold these sets door-to-door and on a consignment basis to small shops. As the years passed the game grew in popularity with the result that the family licensed it to other countries. Then in 1977, something amazing happened that would ensure that Rummikub became a household name across many countries; it became a bestselling game in the United States. Since then Rummikub has enjoyed a number of variations, to ensure that it caters for all ages and that it is continuously infused with new and exciting rules and additions. This year, the brand has launched Rummikub with Twist, adding a fresh and contemporary twist into the traditional game of Rummikub. New, brightly coloured tiles and a collection of jokers add excitement to the strategy and the fun. I really enjoyed playing the same for the first time at the launch. After the first game, my mind was processing a lot of ideas to play and win the same with the right combination of runs and numbers. 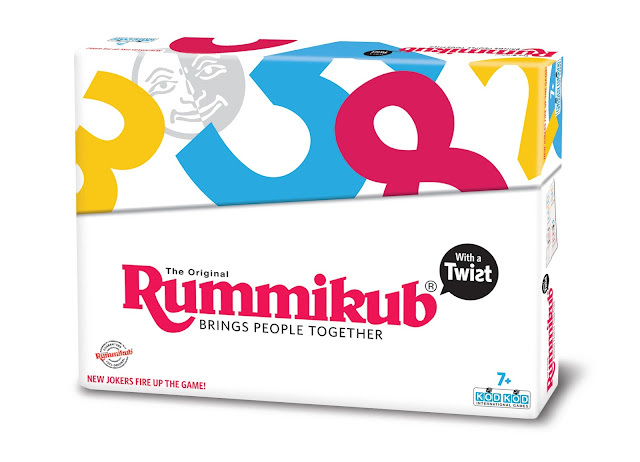 “The new Rummikub with a Twist is perfect for those who are avid players of the game as well as people who are new to it. It is ideal for ages seven and over and has no upper age limit. It’s a game that truly brings people together,” says Chiquita Patrizi, spokesperson for Prima Toys.